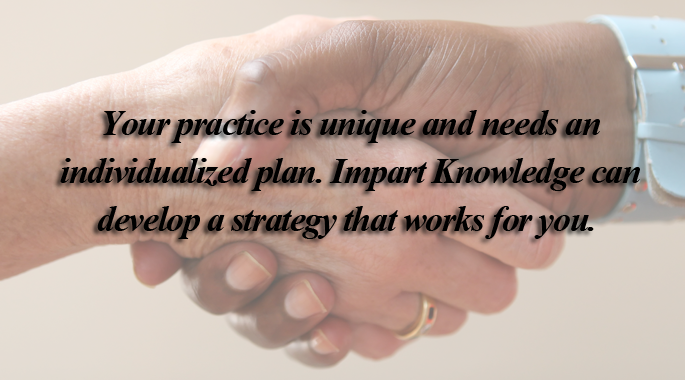 Impart works with you to advance your medical practice. 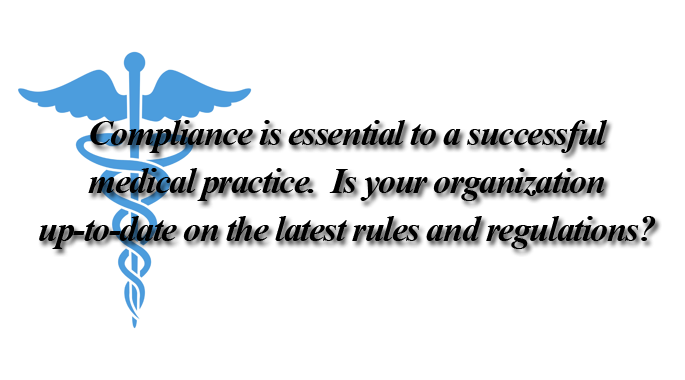 Impart Knowledge - Experts in compliance needs for your practice. 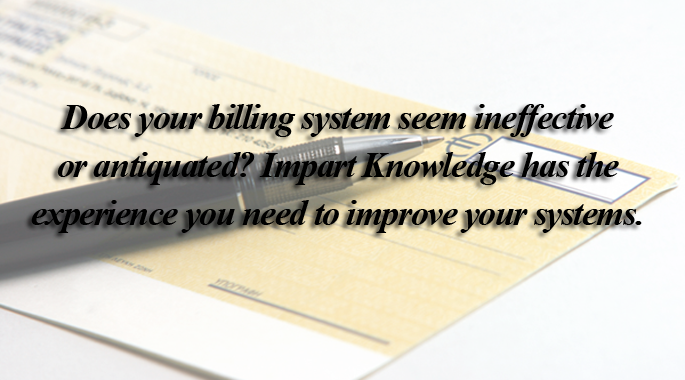 Impart streamlines medical billing management. 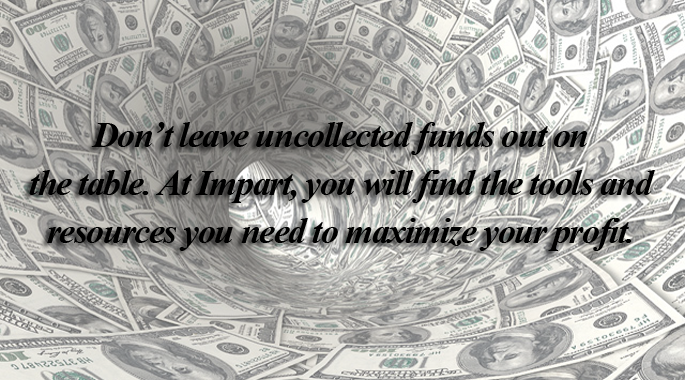 Impart Solutions can improve your bottom line.